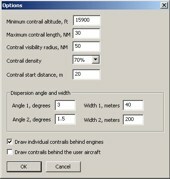 Version 1.04 - for FSX, FS9 and Prepar3D! 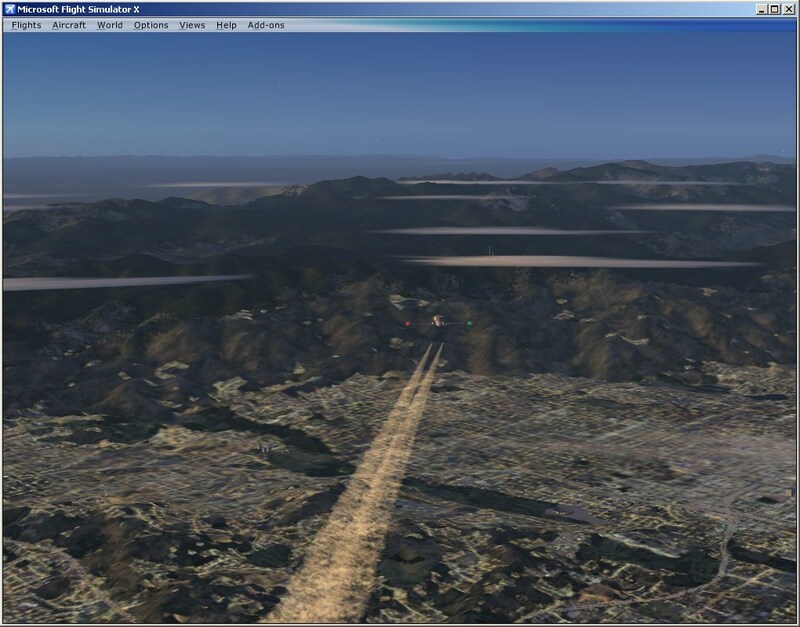 Contrails Pro is a module for Microsoft Flight Simulator X, Flight Simulator 2004 and Lockheed Martin Prepar3D that adds realistic contrails to AI aircraft. 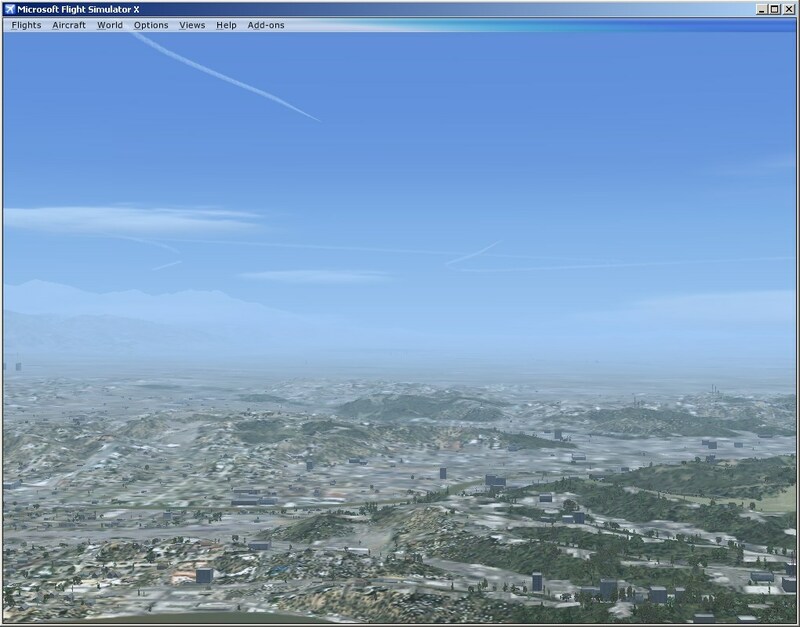 Easily installed, it will instantly add beautiful, long, detailed contrails behind high-altitude AI aircraft in your Flight Simulator sky. You will no longer need a radar to see big airliners cruising above you! Contrails Pro comes with its own optimized display engine, which allows displaying contrails in unprecedented detail while keeping high frame rates. When looking from a close distance, you will see the complex contrail structure thanks to the detailed textures supplied with the product. 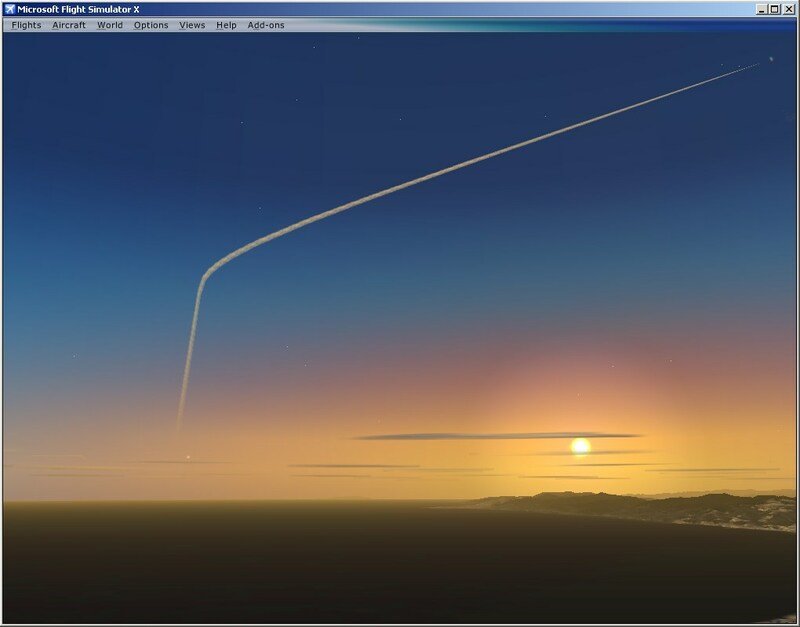 Just like in the real world, contrails will slowly dissipate in the air and will glow in red during sunrise or sunset. 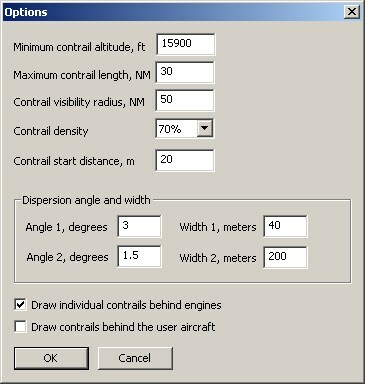 There are excellent customization options allowing you to specify the contrail length, density, dispersion, minimum altitude for contrails to appear and a few other settings. Free demo available - try it risk-free! Get the free demo now! You can download Contrails Pro and try it out for free. 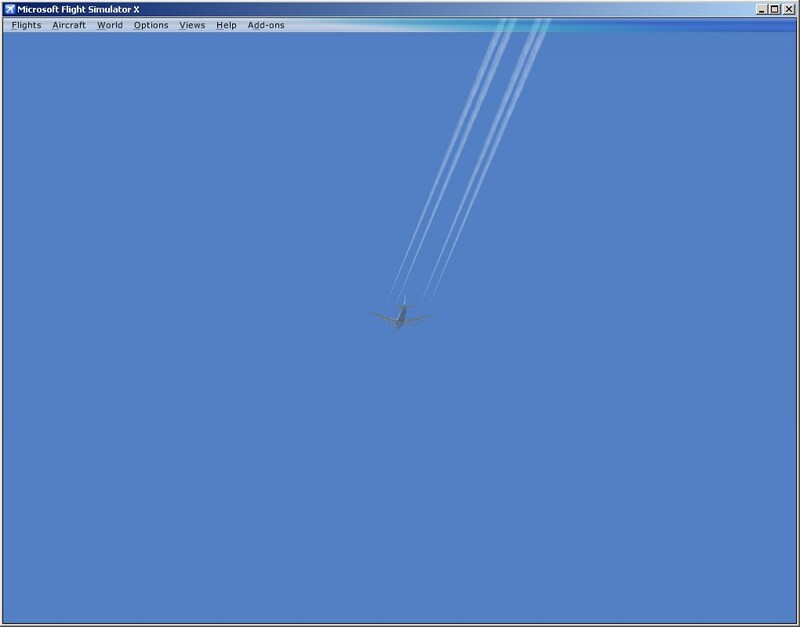 In the free demo mode, you can use Contrails Pro for up to 10 minutes per Flight Simulator session. 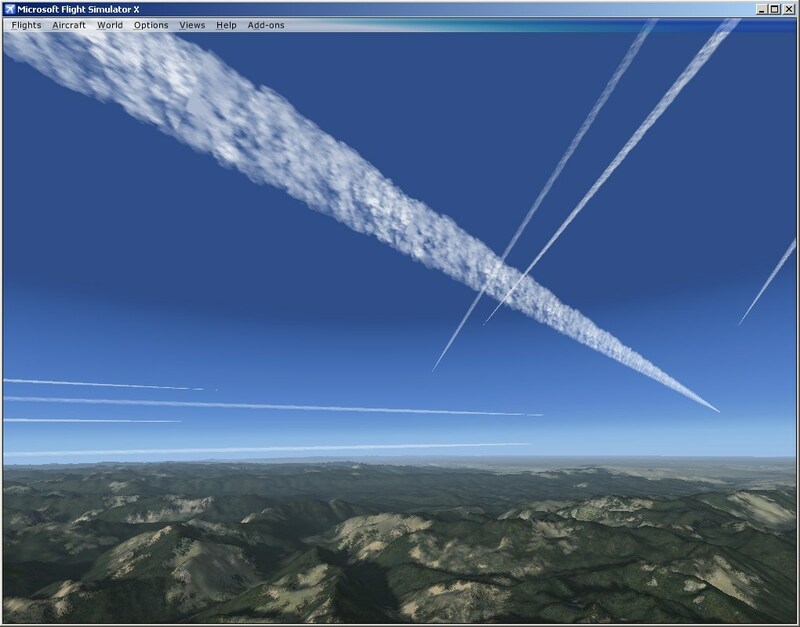 Buy Contrails Pro now - the most realistic FS contrails available today! You can purchase the product using the Flight1 wrapper, or by buying a registration key on SWREG or at selected online stores. When you buy the product with the Flight1 wrapper, you get an instant product activation and a 30-day money back guarantee. To purchase, please click on the links on the right side of this page. At least 1024MB of RAM recommended.